Representa! is back as of November 14. 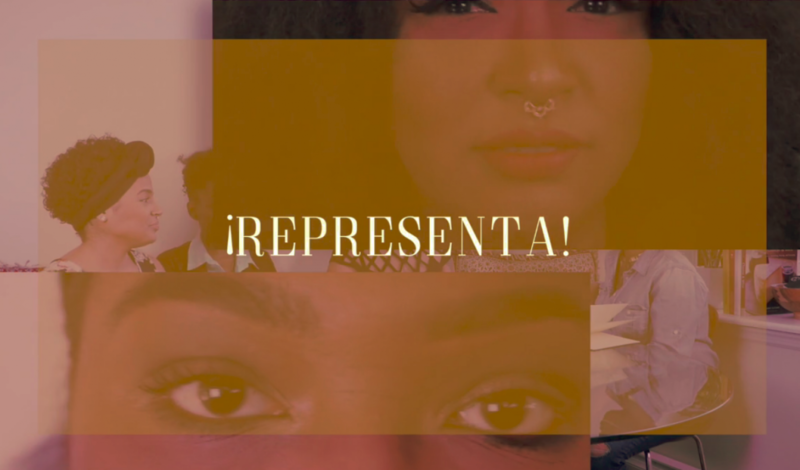 November 26, 2018 / Zahira / Comments Off on Representa! is back as of November 14. 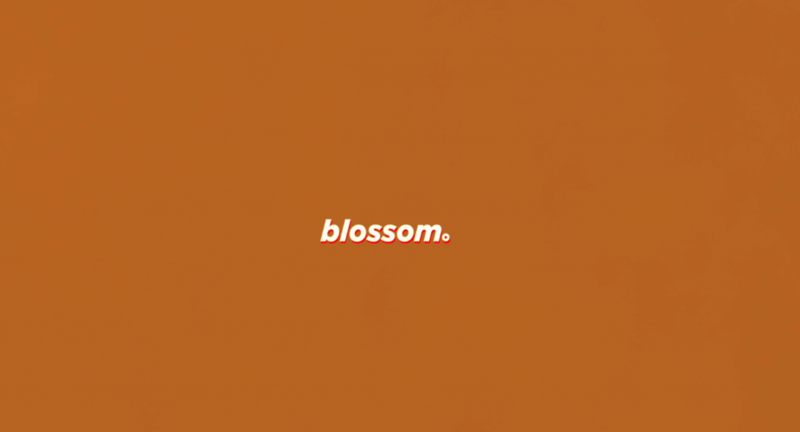 This summer I had the honor of being on Blossom TV (a channel for women of color, by a Black woman and all Black girl technical crew) in collaboration with AintiLatina.com, . 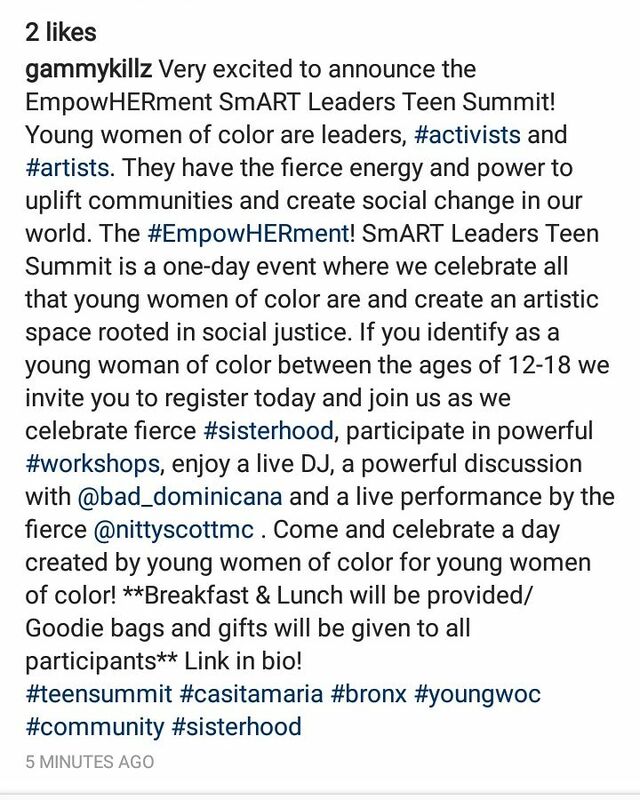 It was an amazing experience and I got to talk and vibe with some brilliant, beautiful ground-breaking AfroLatinas about issues affecting us. Catch it at WatchBlossom.com. Very grateful for a successful impromptu Spring 2018 tour! May 19, 2018 / Zahira / Comments Off on Very grateful for a successful impromptu Spring 2018 tour! My TEDx talk (en español) is now available for viewing. February 7, 2018 / Zahira / Comments Off on My TEDx talk (en español) is now available for viewing. This was such a surreal experience. Never imagined I would be flown out to Mexico City to do a TEDx talk. Humbled and honored. Thanks to Kat Lazo at WeAreMitu.com for interviewing me for this. 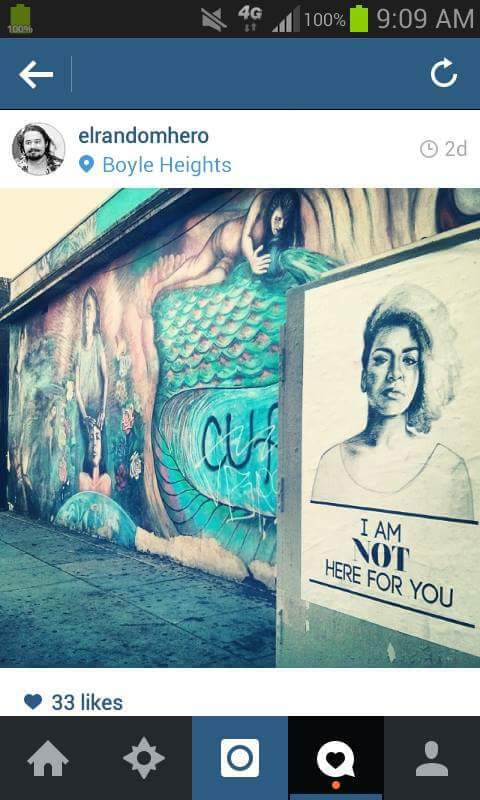 Three years ago I sat for Tatyana Fazlalizadeh, the artist behind the Stop Telling Women To Smile street art campaign against street harassment. The last thing I imagined is my face would end up in several episodes of Spike Lee’s Netflix series, which Tatyana is doing art direction for. Now people keep hitting me up saying they saw me on it. 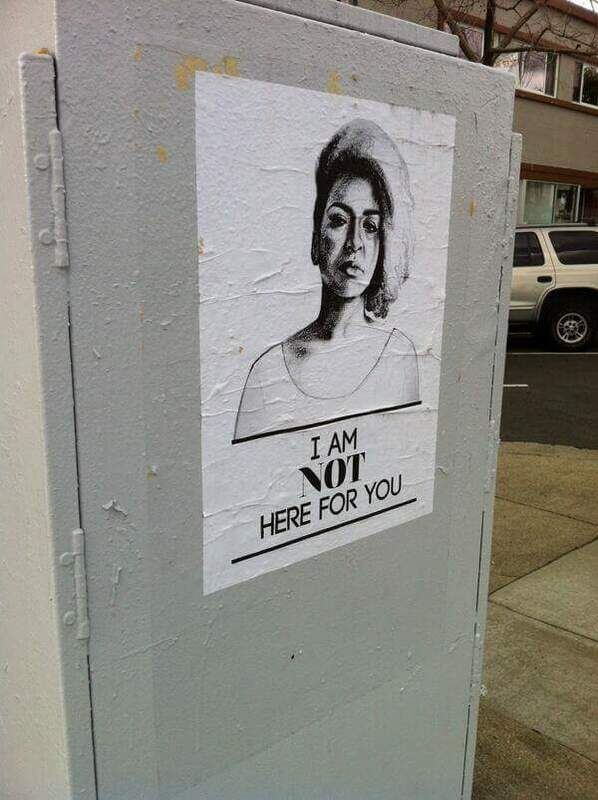 I had no clue until one of my twitter followers asked if that was my face they saw. 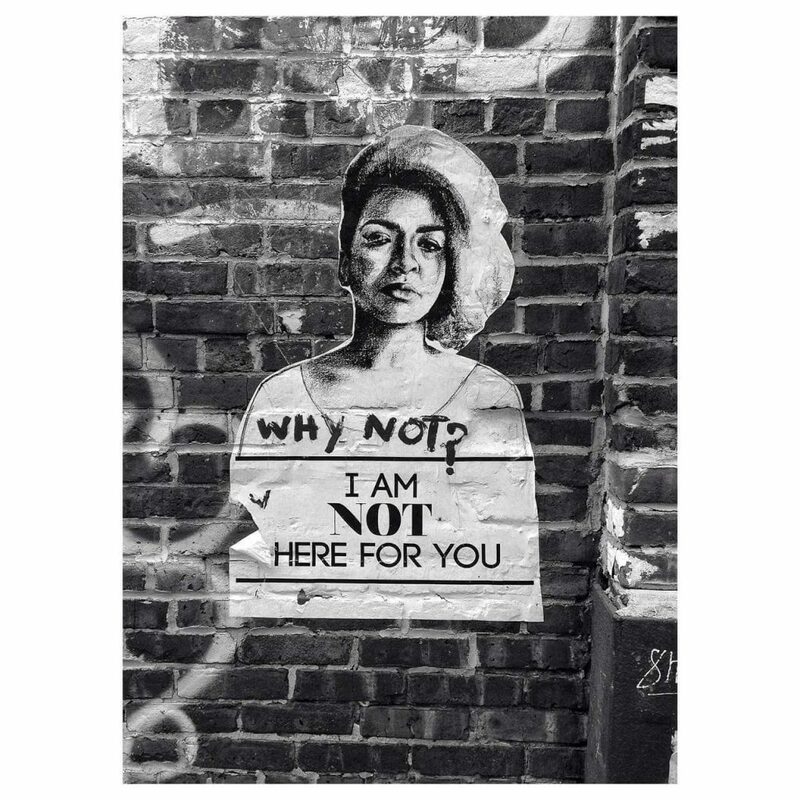 Here are some shots of the original canvas and wheatpastes she did of my image (including one where someone scribbled “why not?” in response to it). Burlesque Queen Delysia LaChatte, AfroPinup & I collabed! Yay! October 14, 2017 / Zahira / Comments Off on Burlesque Queen Delysia LaChatte, AfroPinup & I collabed! Yay! 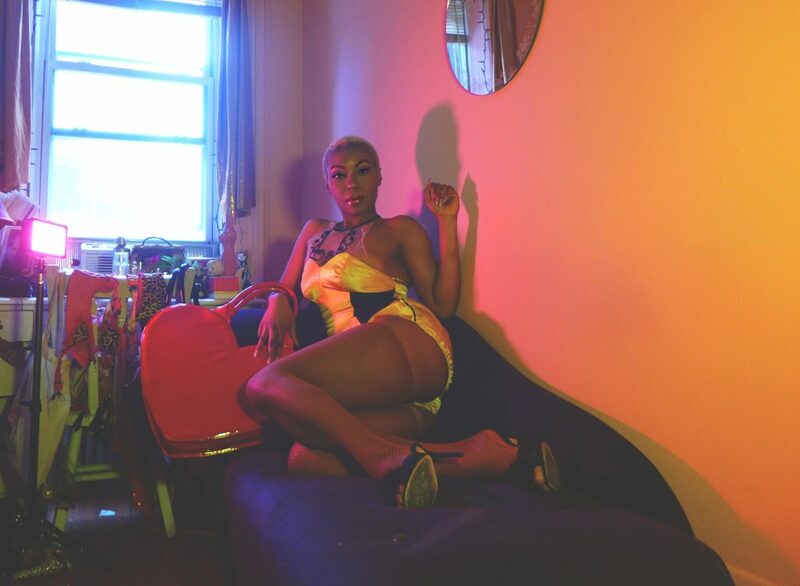 This summer the lovely @AfroPinup organized this shoot, with her doing makeup, the ethereal Delysia LaChatte, queen of the NYC burlesque scene as model and photography by me. Wardrobe: Delysia’s own. Delysia was so sweet and gracious. And check out the red heart bags from her own line, LaChatte’s Meow, below. Available on her website HERE. 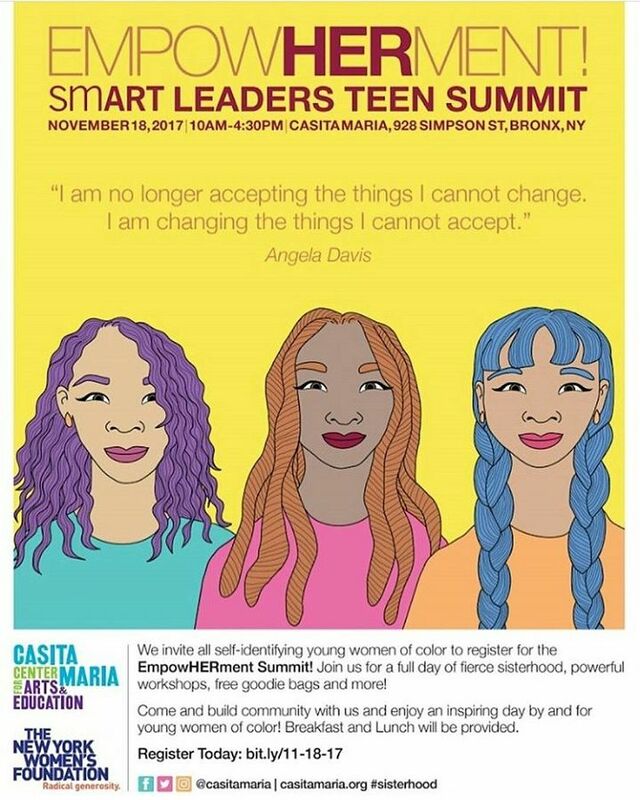 Humbled to be participating in such an amazing event. 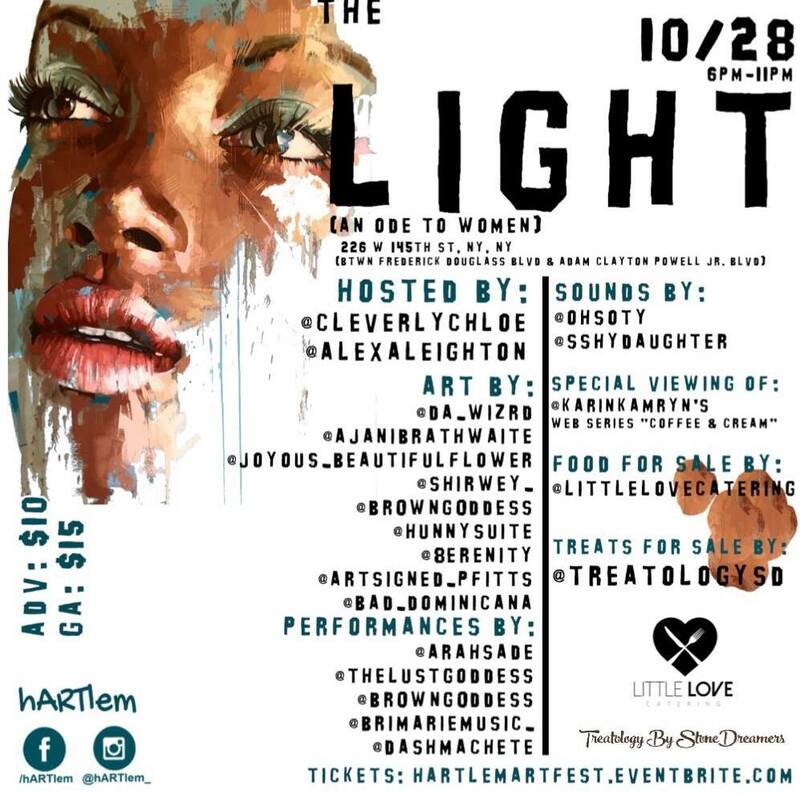 I will be exhibiting art at hARTlem’s art show this October 28. 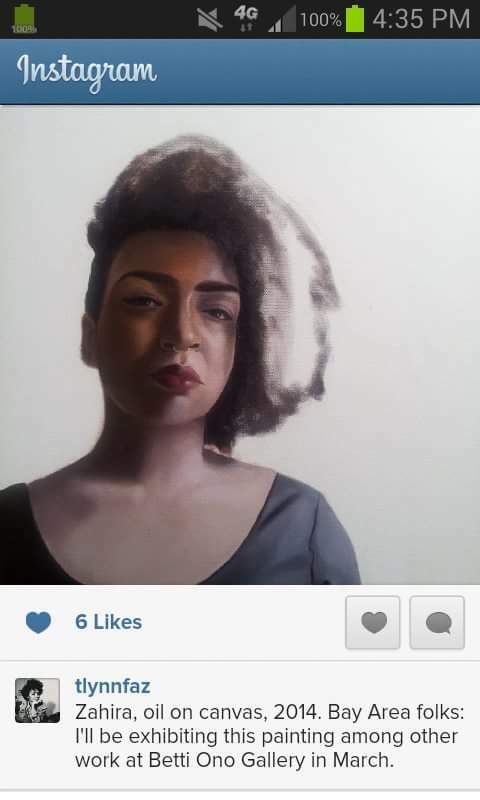 October 12, 2017 / Zahira / Comments Off on I will be exhibiting art at hARTlem’s art show this October 28. This was a lot of fun. Listen to Ep. 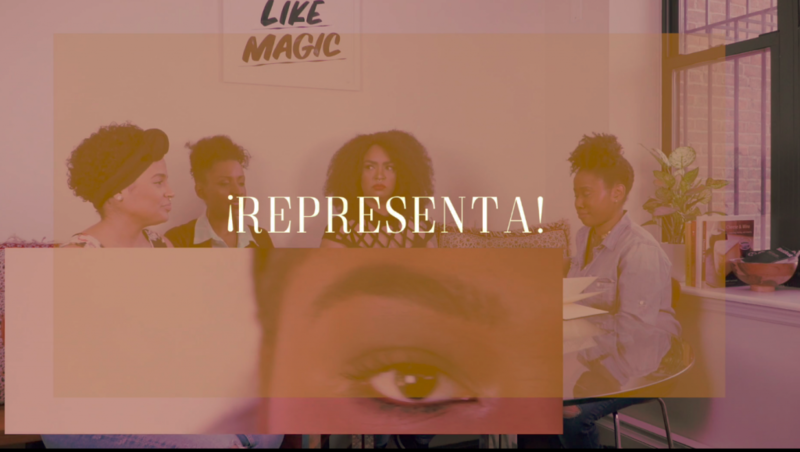 6 of Latinos Out Loud, featuring me! October 12, 2017 / Zahira / Comments Off on This was a lot of fun. Listen to Ep. 6 of Latinos Out Loud, featuring me! October 6 I had the fortune of being invited onto the mega talented Juan Bago and Rachel La Loca’s podcast Latinos Out Loud. These folks are hilarious and doing great things as a Latinx comedy troupe, Listen HERE. 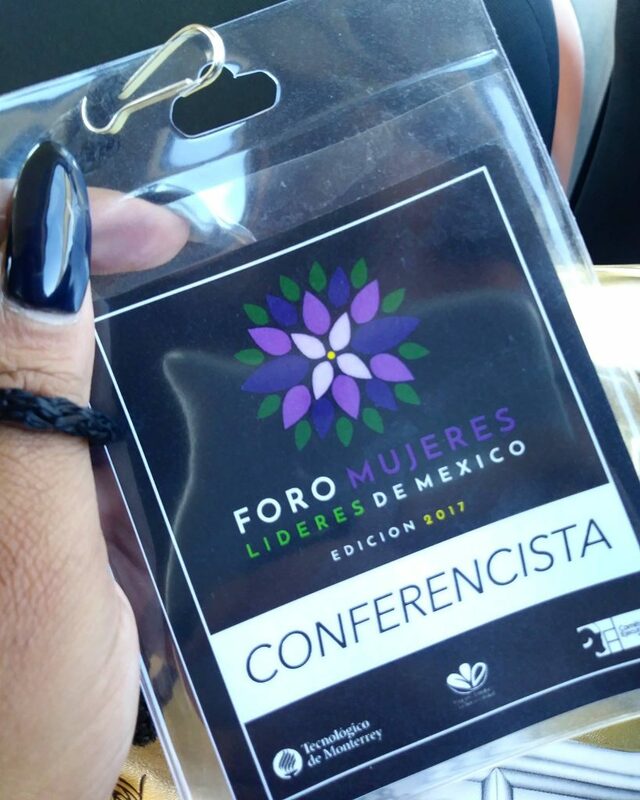 Back from Foro de Mujeres Lideres de Mexico in Monterrey, Mexico. 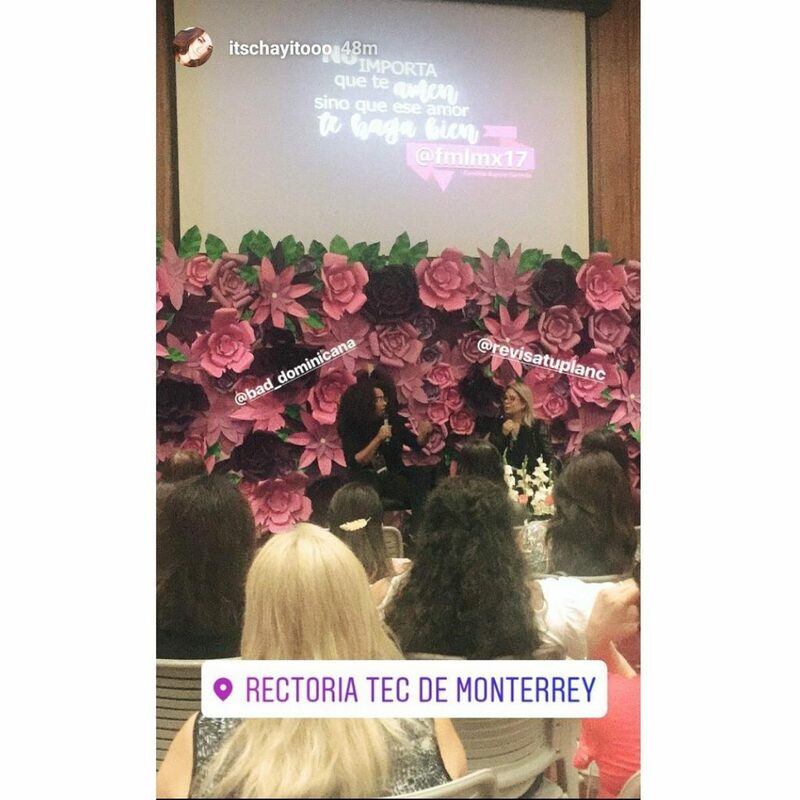 October 12, 2017 / Zahira / Comments Off on Back from Foro de Mujeres Lideres de Mexico in Monterrey, Mexico. 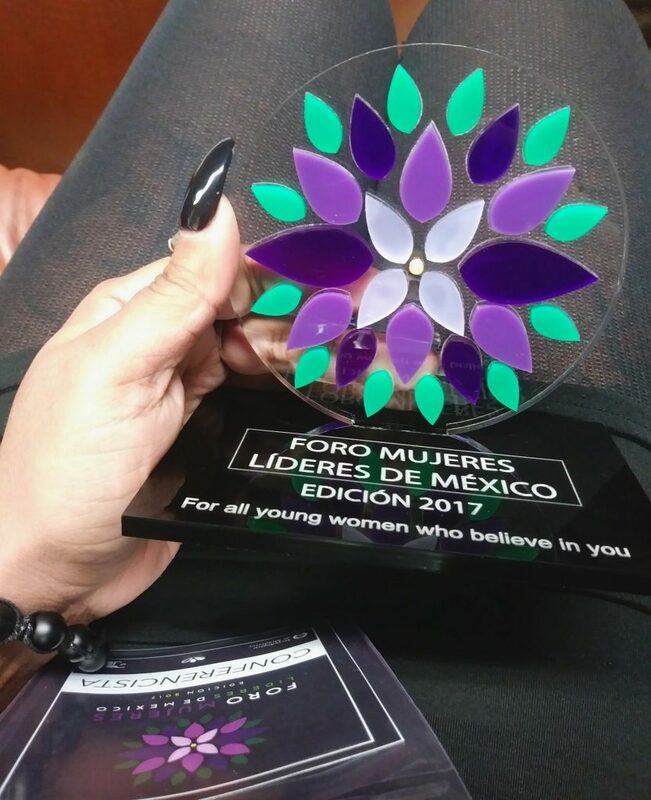 On October 9 I had the pleasure and honor of speaking at Foro de Mujeres Lideres Mexico, at Tecnologico de Monterrey in Mexico. It was my first time in the country and everyone was so kind and thoughtful. I met some amazing, inspiring women. Ever grateful for having been flown out there. 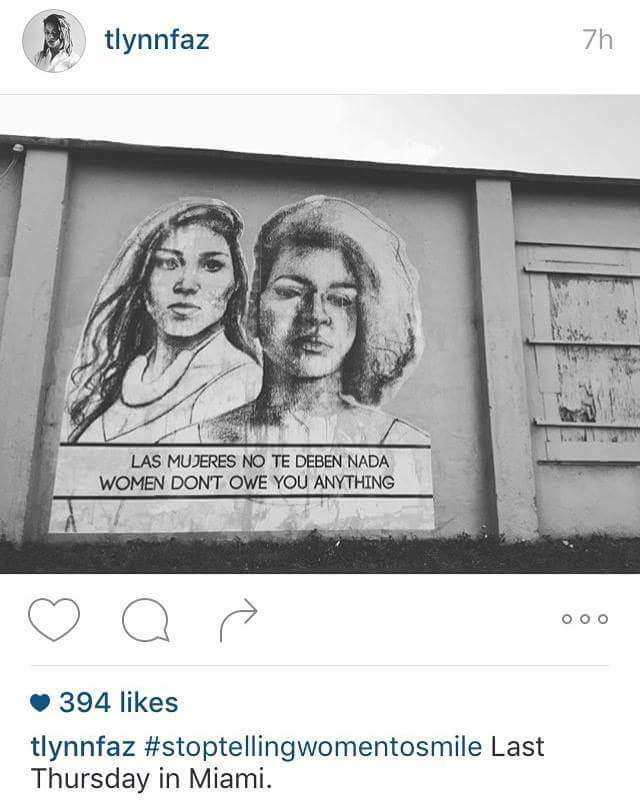 After our discussion on #MaybeHeDoesntHitYou with Cynthia Garcia Galindo (who is truly a gift to the world), it was humbling to hear women tell me they hadn’t realized the things that were happening to them were abusive and they deserved better. In a month Cynthia and I will be at TEDx mexico in Mexico City, talking on #QuizaNoTePegue as well. Never imagined that hashtag would bring us to this but I am elated.